Courts • Riley's charges follow discovery of late-term fetuses. Nicola Riley, the Utah doctor accused of botching an abortion in Maryland in 2010, has been charged with murder. A Maryland circuit court indicted her and another doctor this week after an investigation into a patient's medical complications led to the discovery of approximately 35 frozen late-term fetuses. Riley is charged with murder in the first and second degree, and conspiracy to commit first-degree murder. Her colleague, physician Steven Brigham of Voorhees, N.J., is charged with five counts of first-degree murder, five counts of second-degree murder and conspiracy to commit murder in the first degree. The Unified Police Department of Greater Salt Lake arrested Riley at her home Wednesday after Maryland issued a warrant for her arrest. 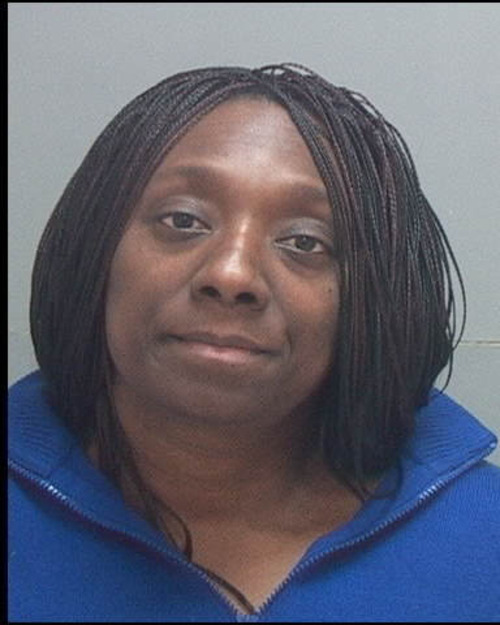 She is being held without bail in the Salt Lake County Jail awaiting extradition. Brigham is in jail in New Jersey also awaiting extradition. Although Maryland suspended Riley's medical license in August 2010, she continues to have an active license to practice medicine in Utah. But she can no longer perform abortions in Utah, under a February agreement with state licensing officials. And in August this year, she was ordered to pay a $10,000 fine for misleading officials about her criminal background when she applied for a Utah medical license in 2004. According to Maryland licensing documents, Riley perforated the uterus of an 18-year-old patient, who was about 21 weeks pregnant, during an Aug. 13, 2010, abortion at an Elkton medical clinic. After refusing to call an ambulance, she and Brigham took the semiconscious patient by car to a hospital in Elkton. The teenager was transferred to Johns Hopkins Hospital in Baltimore for emergency surgery to fix her uterus and bowels. In the meantime, Riley returned to the clinic to perform another abortion. A subsequent investigation by the Elkton Police Department at the American Women's Services clinic found a chest freezer with dozens of late-term fetuses and fetal parts. Clinic documents show fetuses at the clinic were aborted at 28, 33, 35 and 36 weeks of gestation, by multiple doctors, including Riley. According to NARAL, the pro-choice group, Maryland law prohibits the state from interfering with a woman's decision to terminate a pregnancy before a fetus is viable, or at any time if the termination is needed to preserve her life or health or the fetus has genetic defects or a serious abnormality. Maryland is one of 38 states with a law that allows the filing of a murder charge against someone accused of killing a viable fetus. The 2005 law has so far only been used for cases in which defendants were accused of assaulting or killing pregnant women, according to the Associated Press. Brigham, who has never been licensed in Maryland, allegedly initiated abortions in New Jersey  where he was licensed  and Riley completed the procedures in Maryland. Brigham's New York medical license was revoked in 1994 for repeated negligence. The murder charges do not have an immediate impact on Riley's medical license in Utah. "We have no comment at this time," said Jennifer Bolton, a spokeswoman for the Utah Division of Occupational and Professional Licensing. "This is Maryland's case which we'll continue [to follow] with great interest and then evaluate to see if any more determinations need to be made from our end." Riley was in the process of appealing her Maryland license revocation when the criminal charges were filed. Her lawyer asked to postpone the licensing trial date. "We really believe these charges are without legal merit," said Sharon Krevor-Weisbaum, an attorney whose firm is representing Riley in the criminal case. "We believe it's completely inappropriate for her to be held without bond. She is not a flight risk."